This first release is targeted specifically at Firefox 3.6. * and MSIE 7 & 8 browsers only. We hope that many XPagers will benefit from this resource in terms of learning, prototyping, and validating the power of both XPages and the XPages Extension Library, and ultimately sharing and contributing to our vision going forward for the next generation of the TeamRoom template. 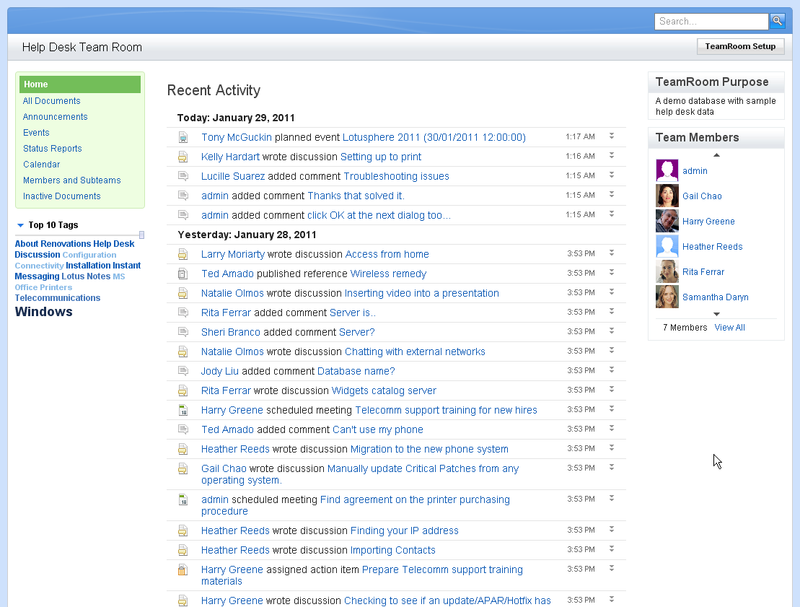 This new TeamRoom OpenNTF 8.5.2 template has been built as a showcase application for the XPages Extension Library. Approximately 80 different XPages Extension Library controls have been used in the construction of the TeamRoom OpenNTF 8.5.2 template, therefore making it a great learning resource on how to leverage the XPages Extension Library! The corresponding XPages Extension Library for this template can be found on OpenNTF.org under the 1/28/11 build.